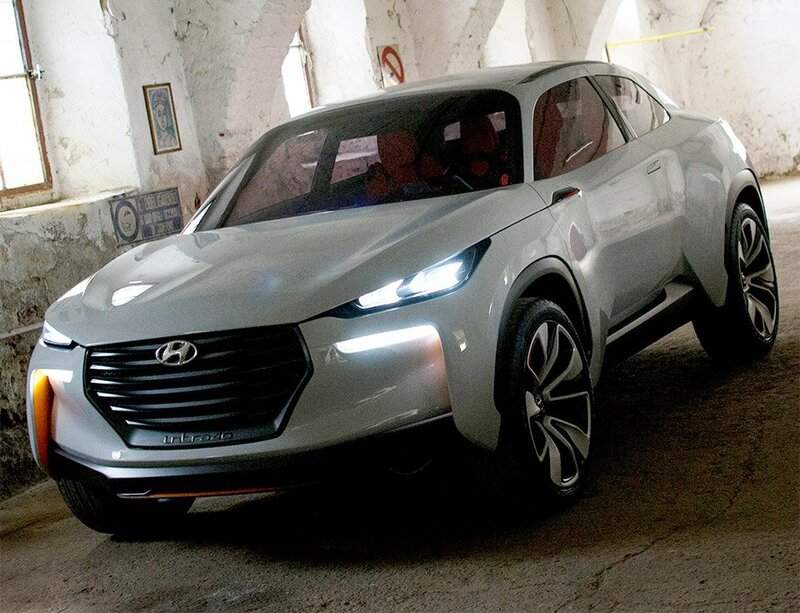 Yet another vehicle being shown off in advance of the 2014 Geneva Motor Show, the Hyundai Intrado looks like a major step in the right direction for Hyundai’s styling. 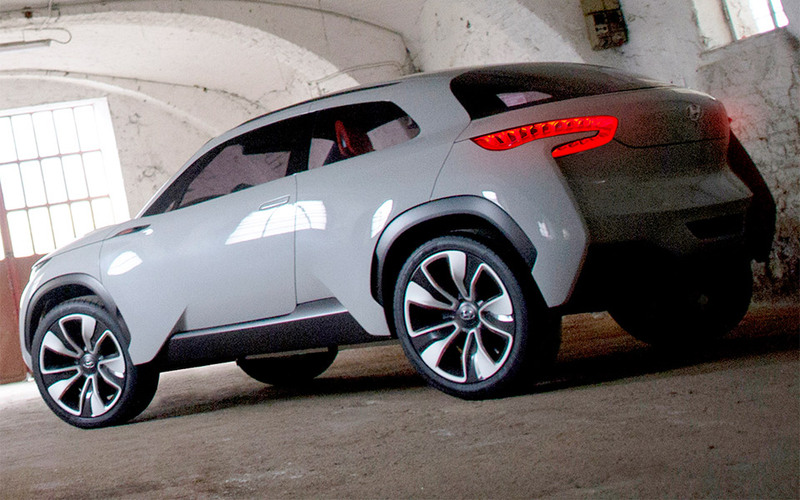 The compact crossover coupé has a bold, large grille with a shape similar to the 2015 Genesis Sedan. We like its wide, low and aggressive stance, and catlike LED headlights, too. 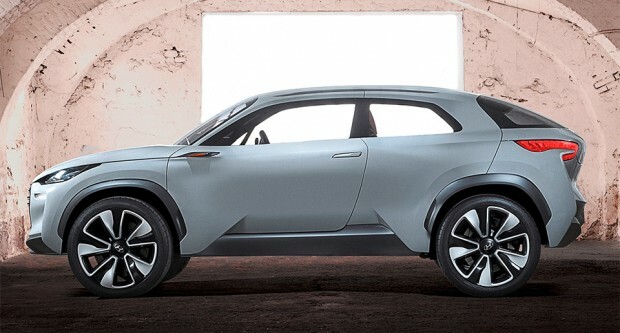 In its current form the car is highly futuristic, with its superstructure made from lightweight carbon-fiber reinforced plastic, like the BMW i3, and powered by Hyundai’s fuel-cell powertrain. A 36kWh lithium-ion battery stores scavenged energy, while a hydrogen fuel cell provides most of the power to the car’s front wheel-drive motor. Naturally, with the brilliant Peter Schreyer now at the helm of both Kia and Hyundai’s design groups, it was only a matter of time before Hyundai started to step up their game as much as Kia has in recent years.